The GCKS series of sealed coded rotary switches from Lorlin are single pole switches with between 2 and 16 positions over 360° with hexadecimal gray coding in standard (22.5° indexing – 4bit) or complimentary (45° indexing – 3bit). Electrically rated to a maximum of 150mA at 50VAC/DC with a mechanical life of 10,000 steps and sealed to IP65 rating. 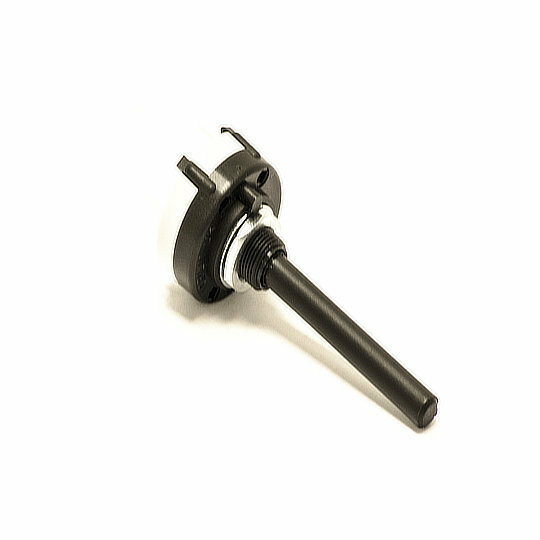 Designed to fit cut outs of 10mm in imperial or metric models for 9.52 x 32TPI or M10 x 0.75 bushings respectively with spindle lengths of 38mm long (imperial model) or 50mm long (metric model) and PC Pin style terminations. The GCKS series are perfect for applications such as Telecommunication Equipment, Computer Peripherals, Networking Systems, Industrial Control Systems and Audio-Video Equipment.